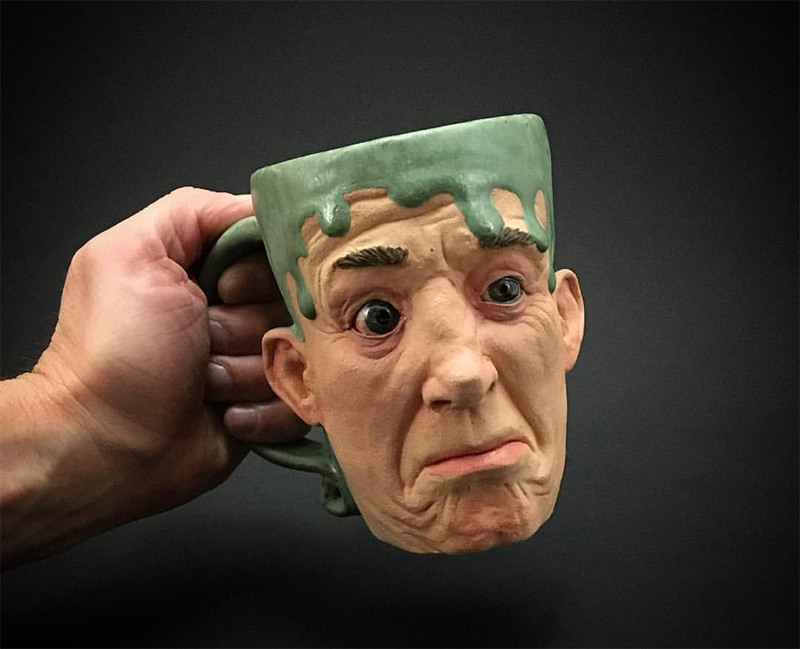 Ceramicist Kevin “Turkey” Merck creates amazing handcrafted mugs that look like heads. 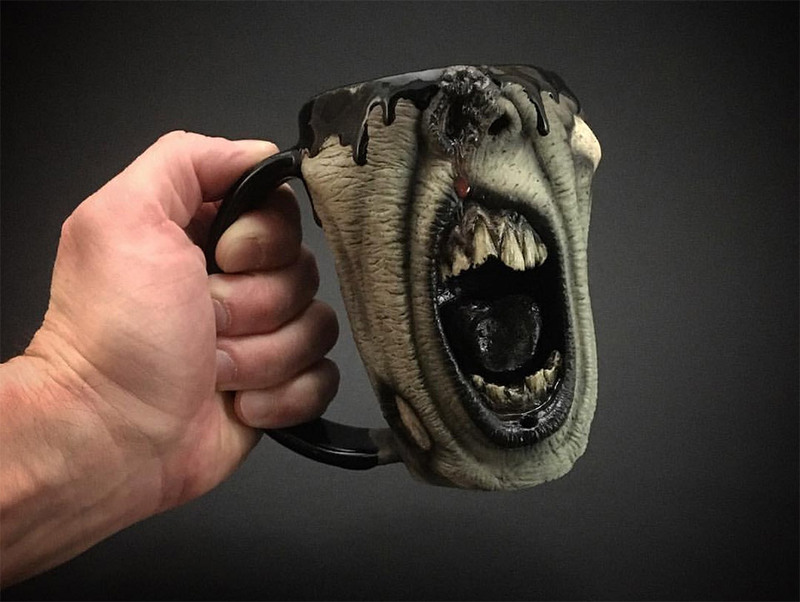 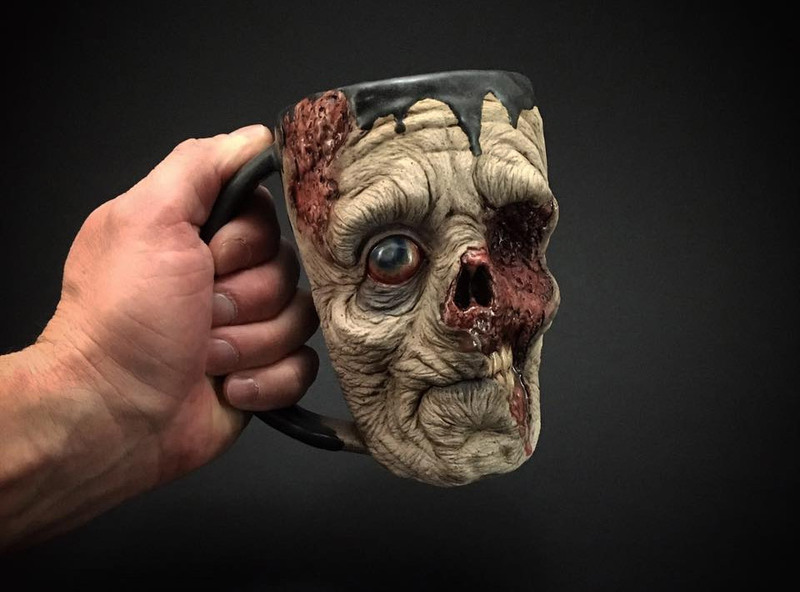 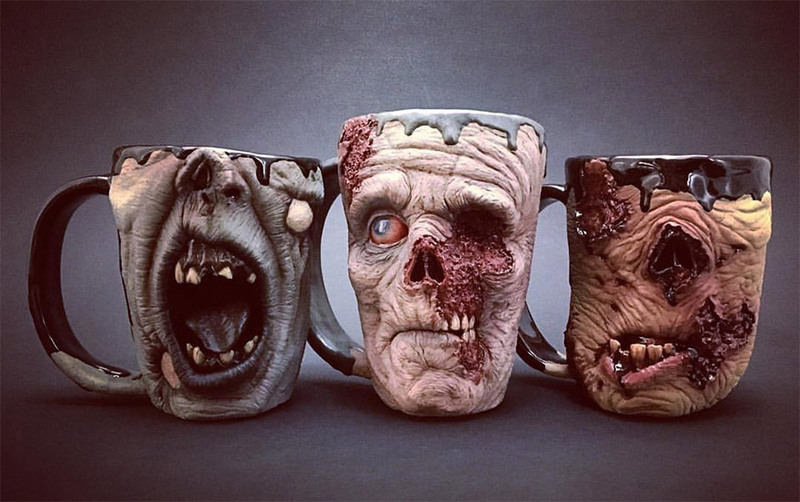 His latest creation is the Slow Joe Zombie Mug, a gruesome head of the undead complete with rotting flesh and exposed bone. 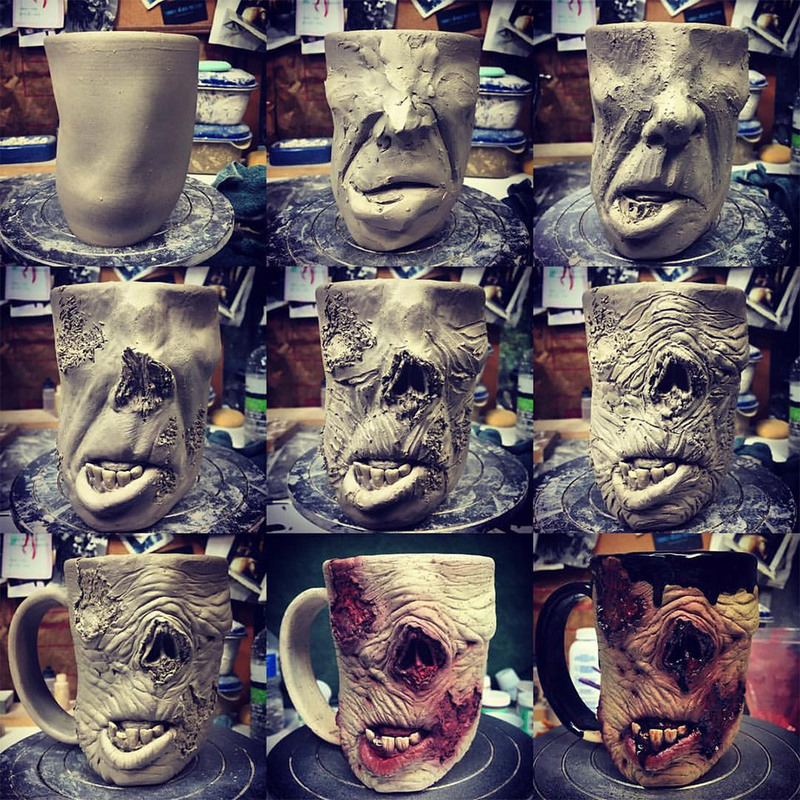 At over $200 each, they’re not cheap, but he sells every one.